We do not call it potty training, we call it potty learning. We do this to be sure that we are holding a strong image of the child in mind. Training is something that is done to someone. Learning is something that is done by someone. It is simply a bit more respectful to call it potty learning. This also puts you into a state of mind focused on support and teaching. What do you believe about children wearing diapers? ⠂ How often should they be checked or changed? ⠂How do you respond when a child resists being changed? ⠂Is it ok for a child to wear a wet diaper? For how long? ⠂How sensitive or aware do you think infants are to their diaper's state? ⠂ How do you feel about changing children's soiled diapers? ⠂How does a child's age impact how you feel about changing their diaper? When do you believe children should learn to use the toilet? ⠂ When do you believe a child can learn to use the toilet? ⠂What do you believe the adult's role is in helping a child learn to use the toilet? ⠂What practices do you believe help or hinder children's learning to use the potty? How do your personal and family experiences shape your views of toileting? ⠂What impact does societal expectations and the media play in your perception of potty learning? Our Philosophy: All children will learn to use the potty. We do not ever shame or punish children’s excretion. We accept we cannot control children’s bathroom use and the process is theirs to hold. We believe that exposure to incrementally more responsibility with encouragement, but not coercion will support children’s learning. 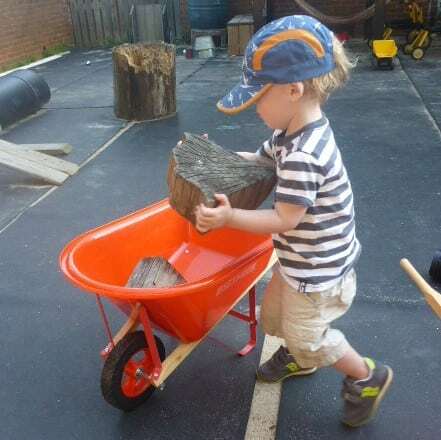 Each child develops their toileting independence at their own pace. Children need to be physically and emotionally prepared to wear underwear. Adult energy impacts children and often adds stress. Stress negatively impacts learning. There is no right way to learn to use the potty. All children will use the toilet independently. Children learn to care for their body and attune to their needs. Children feel confident and supported in their move to underwear. Potty and diaper experiences remain judgement and stress free for adults and children. Our role as adults in this process is early on to care for children and help the children stay clean and healthy but ultimately it is to turn that role over to the child. This is easiest if done gradually and naturally. Adults can give children space, time, and exposure to the routines of self care so they can feel the sense of purpose and autonomy that will naturally drive their continued desire to learn and grow more independent. Caregivers do not need to push, cajole, or force children but offer the opportunity and allow the child to pick it up when they are ready. This learning process like all learning processes is not linear. Children may build independence then lean back in for more help which is normal. Caregivers simply continue to offer an open invitation to learn. Potty learning starts with the diaper change. Each time you change a child you are helping her to understand how her body gets rid of waste, what to do to take care of her body, and how she can participate. Talk to the child through their diaper change for this is when children develop awareness of how their body gets rid of waste. If we distract a child while we change her, we are telling her she is not responsible for cooperating to care for her body and that others can touch and clean her body while she looks at or does something else. 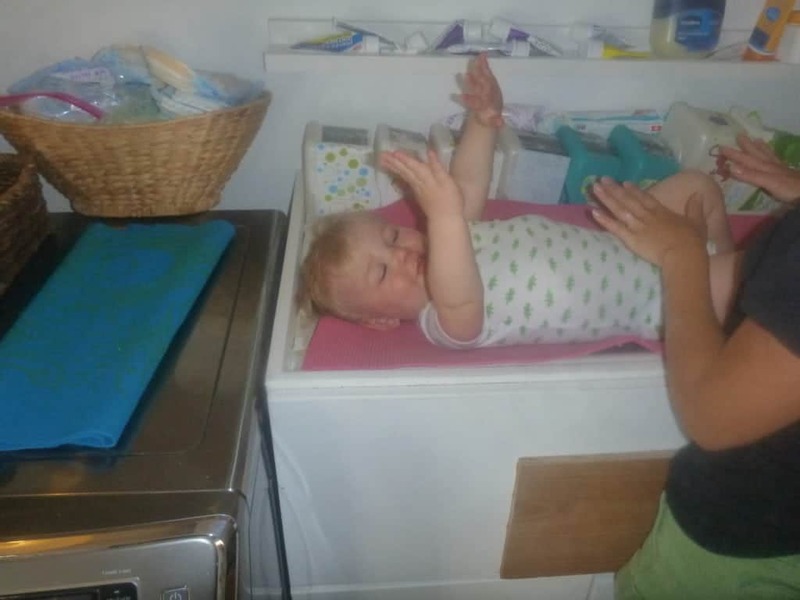 Move slowly through the diaper change. Tell the child what you are going to do before you do it. Give the child an opportunity to participate where she can. Acknowledge upset and distractions then help refocus. 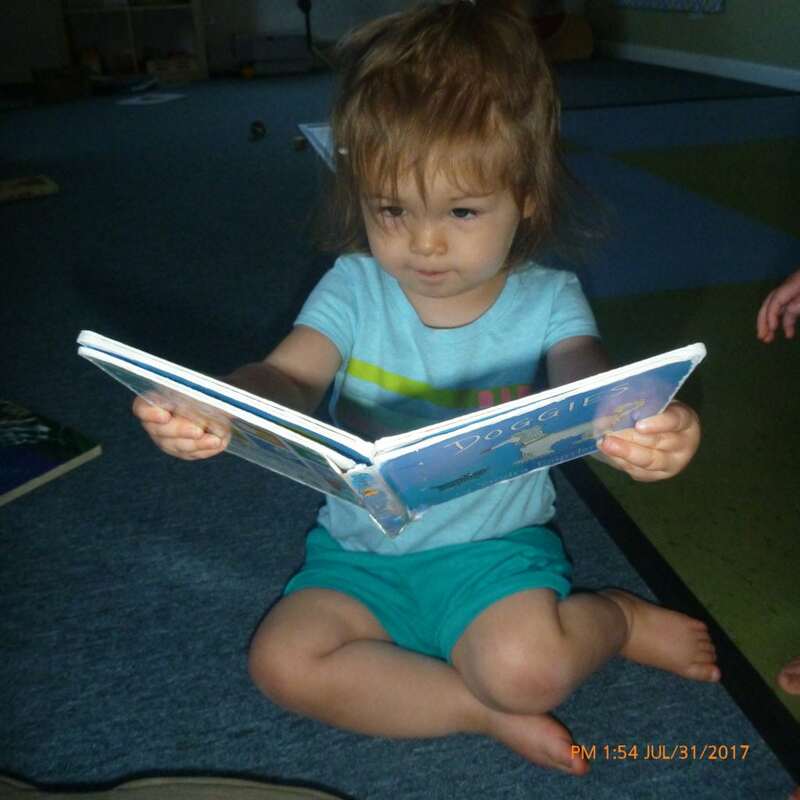 As children begin to stand independently, around a year, we start to introduce the concept of sitting on the potty instead of changing their diaper on the table. Offering a potty-try reduces diapering struggles and promotes learning. 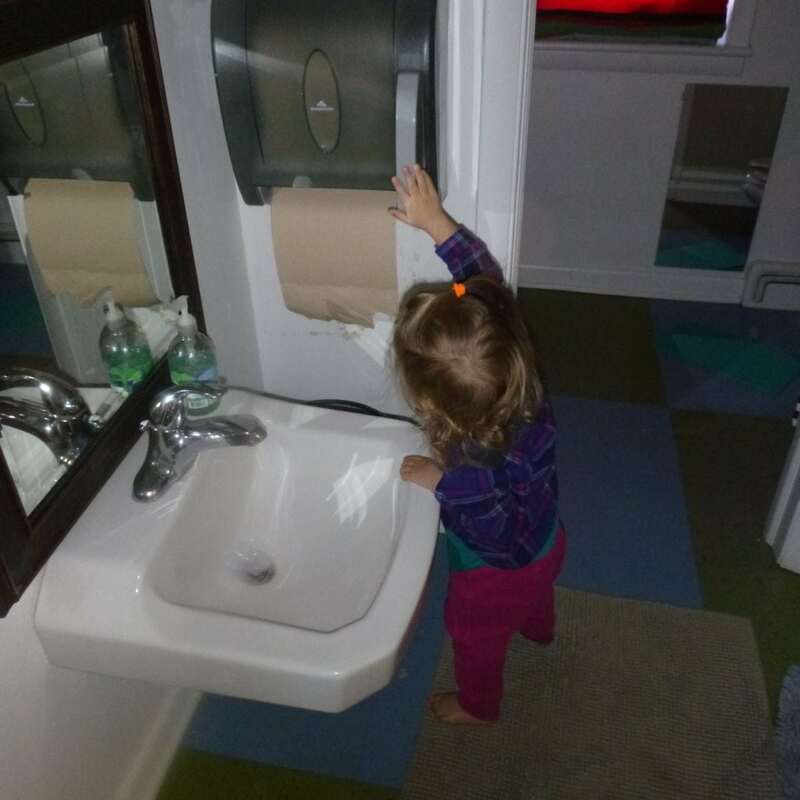 Every child will make the connection of how to use the potty in their own time and in their own way. 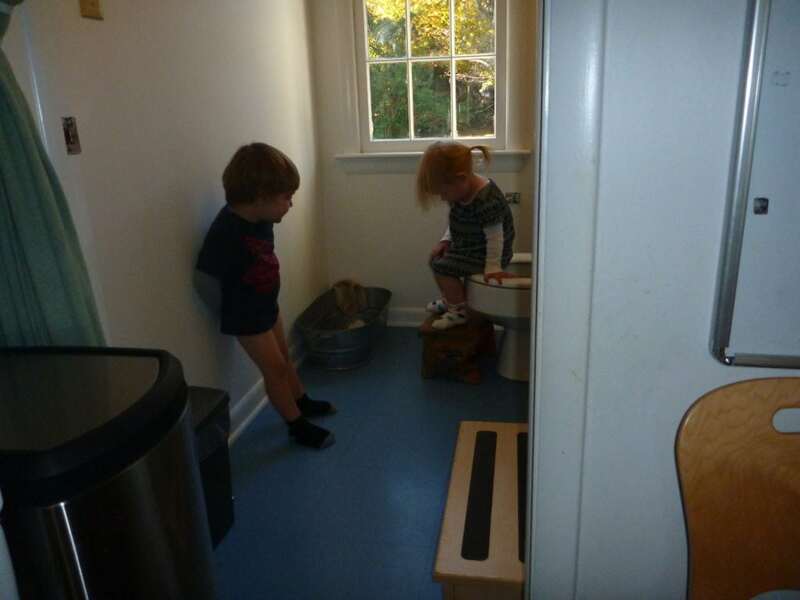 We want to be sure the opportunity to sit on the potty is available when the child makes the connection of how to control where and when they relieve themselves. We will encourage, but we never force a child to go to the potty. As they can consistently use the potty, we talk more and more about staying dry. To encourage children that are consistently using the potty, we ask them to try to use the potty each hour and stay dry. Caregivers are responsible for attuning to children’s potty learning process and cuing into when it’s time for underwear. We recommend waiting until the child is consistently dry in their diaper and pooping in the potty. Hopefully, moving to underwear will be a one-time decision like getting married; you don’t make that decision each morning. If you and your child are ready, put diapers away and get out underwear. Once in underwear, we don’t recommend moving back to diapers or pull-ups except for sleep. It will likely take a week or two of occasional accidents as children adjust to being in underwear. This is normal. Empathize with accidents and work together to clean up.